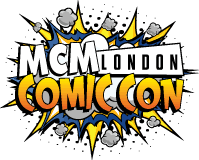 HomeComic BooksComic Book NewsScott Synder’s Final to “End Game”; Batman #40 Review! 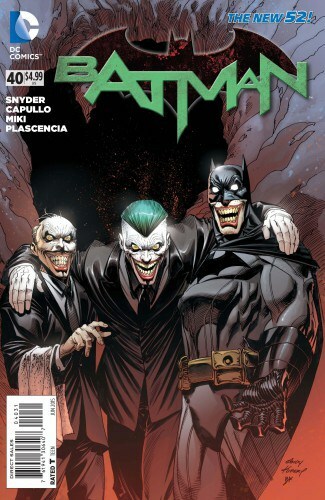 Scott Synder’s Final to “End Game”; Batman #40 Review! Batman #40 has been an issue I have waited for what feels like forever and a day. It is 4:30 AM, Wednesday morning and I am reading my copy. 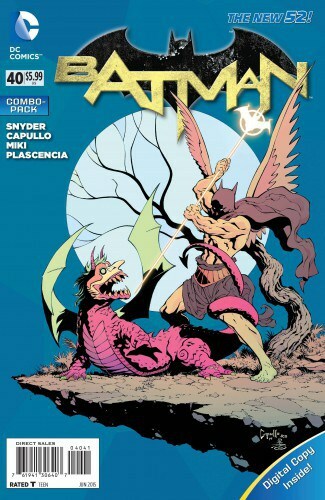 Okay, so having read it cover to cover… twice, I still can’t fathom how anyone likes how Scott Snyder ends a story. I certainty don’t. Night of the Owls… fizzled out towards the end… Death of the Family had some boring parts to it with a highly anti-climatic ending… Zero Year don’t even get me started. And then End Game… I don’t know… how to explain this. It just sort of… ends. Some people may claim I don’t get Snyder’s work, others may call me an all around Hater. My disdain for the New 52 DC Universe is widely known online and across East Coast convention circuits. However, I digress, a story for another time. Scott Snyder certainly has a thing for Frank Miller. Don’t get me wrong, Snyder has written 40+ issues of the New 52 Batman and even his own side projects like Batman Eternal, so I can respect a writer who wants to truly leave his mark on a book. However, Snyder tries to hard to reinvent the wheel. Case in point, Batman: Zero Year. Snyder went out of his way to try to pen his own vision of a Batman Year One story and failed. 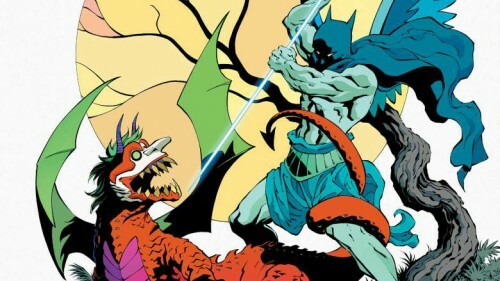 This final fight, taking the namesake of the story ‘End Game’ just a bit too literal; it ends like the final fight between Batman and Joker in the Dark Knight Returns. Yet again, Synder just trying to one-up Frank Miller it seems. The rub is this though, Batman… well… let’s start from the beginning. We learn a little bit about the Joker since the events of Death of the Family. Joker found a pool of Dionesium or perhaps we could call it a Lazarus Pit which spawned within the caverns of the Batcave. Joker must have found it when he fell off the waterfall at the end of Death of the Family. This was how he healed himself. This was also what he had Dekker use to create the Decay Virus. Having healed his face since having it removed by the Doll Maker (all the way back in Detective Comics #1 post-New 52) and being able to craft that ridiculous story about being immortal and having been around for almost well over one thousand years. whoever bought into that, well, I have some other would-be plot lines to sell you. Anyway, we learn it was all a set-up which Batman was able to see through the lies of the first Talon, Boone. Once Batman finds the pit, he is able to have a sample of it sent back above ground for mass manufacturing of an antidote to the Decay Virus. This is also where Batman has his last bloody fight with the Joker. The fight is brutal and it is probably the most we ever see Batman messed up physically since Knightfall. The Joker even maims Batman, slicing his eye out with a playing card. Snyder has a thing for maiming people. He originally wanted to cut off both of Alfred’s hands in Death of the Family, he put a number on Jim Gordon earlier in End Game and he pummels on Batman even more. During the fight, the cave begins to collapse in on itself as Batman struggles with the Joker and makes a realization: they’re whole relationship all this time is indeed one big giant joke as Batman forces Joker to forgive him for not understanding sooner. Then they both… seemingly die… in classic Synder anticlimax and which is where we make way for Robo-Bat-Bunny. Which will be another topic of discussion soon enough in the coming months. Also, Alfred is indeed now crippled with a missing hand. 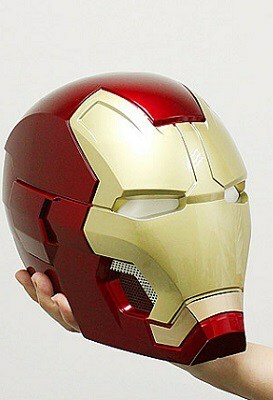 Limited Edition Iron Man Helmet and Bluetooth Speaker! C2E2 2015: Most Adorable Kids in Cosplay!